I didn't meet the man I call my dad till I was eleven. He didn't have a whole lot of time to give me the age old, "what every little boy needs to know about becoming a man" kind of education little boys are due. But I hung on to every word I could of my "Cliffs notes" short and condensed version. I can always find a deal, there's always room to budge, or a discount to be had if you can articulate to the man, not so much why you deserve it, but why he should give it to you anyways... I picked that up as well! Somewhere along the way, not sure if it was following him in to truck stops or out on the horse trails I picked up a "wink and a smile" that tends to gets me into trouble when not applied judiciously! "Its a long way from your heart"... Even if it's infected, can't bend it, or really close to your BRAIN, it's still "a long way from your heart" and thus not an emergency! *Nothing* marinates a ribeye better than Worcestershire and yoshida's gourmet sauce. Mrs. Dash goes good with everything and nothing tastes better after a day on a tractor or a horse than a coke from Alsup's convenience store! Be versatile, resilient, motivated and persistent. Move with a purpose, buy low, sell high and always make time to better yourself! Learn from your mistakes, but blame it on your son! Wait! what?? Yeah, the tailgate incident of 95' Dad, when you ripped the tailgate off your truck with the gooseneck and blamed it on me because I was always the one to unhook the trailers! Yup, member that too! "There ain't a horse that can't be rode, and ain't a rider that can't be throwed" How many different ways is that applicable in life? At fifteen I never understood it as a metaphor I just assumed it was rather specific! "Left leg on the left side, your right leg on the right and your mind in the middle"
"Give your heart to The Lord and ride like the devil"
I heard it all... Absorbed it... Share it when I can! Be Proactive; begin with the end in mind; put first things first; think win win; seek first to understand, then to be understood; synergize; and sharpen the saw! Quite possibly the only teenage boy in the state of Texas that could recite Covey's "Seven Habits of Highly Effective People"! Learned that somewhere between Little Rock and Jonesboro at 87 mph with my head beating off of the door molding of an 88 Chevy on a bumpy Arkansas highway! Thanks a lot Bill Clinton! I could go on and on (taught me that too) but I'll give it a break and spare you every single detail. I hope I grow up to be half the man he was. The best part about my old man was that he didn’t have to do all of that. Wasn’t his job. But the individual who made me was an absentee. When people ask, “Who is your real dad?”, It’s an easy answer. 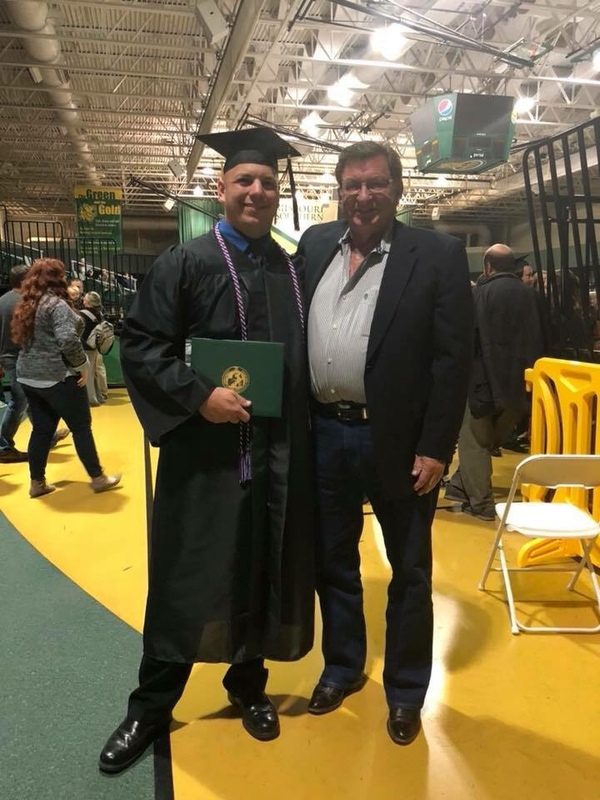 Congratulations Blaine; thanks for sharing your "real life" education and the picture of the man who instilled it in you! Blaine, thanks for sharing. Proof indeed that it takes more than sperm donation to be a dad. Life lessons. Lessons to take with you into your life and share with your children. Thinking about this makes me remember lessons from my grandparents. Simple people who survived the depression but who had great wisdom. Congrats HC. Great picture. TRN is right. Glad you had your "Dad" in your life. Congrats Blaine. I'm that dad to my son. I hope that in twenty years I am the one he speaks of as you just have. Great share sir, and congratulations. Reminds me a lot of my grandfather. Appearance wise too, lol.